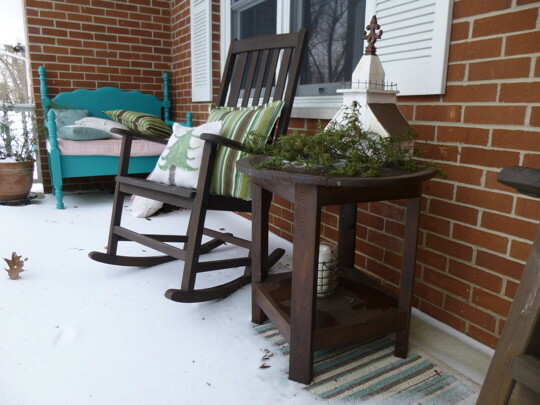 Another “let’s redecorate the front porch” project from 2012. This table was built from the plans at http://ana-white.com/2012/05/plans/benchright-round-end-tables, and is apparently a knock off of a Pottery Barn Benchwright Side Table. The only pic I could find from the build. Post build, pre finish. The table in its final resting place. I don’t remember much about this project, but I’m pretty sure this is the first time I ever used a Kreg jig, which has become a mainstay tool. 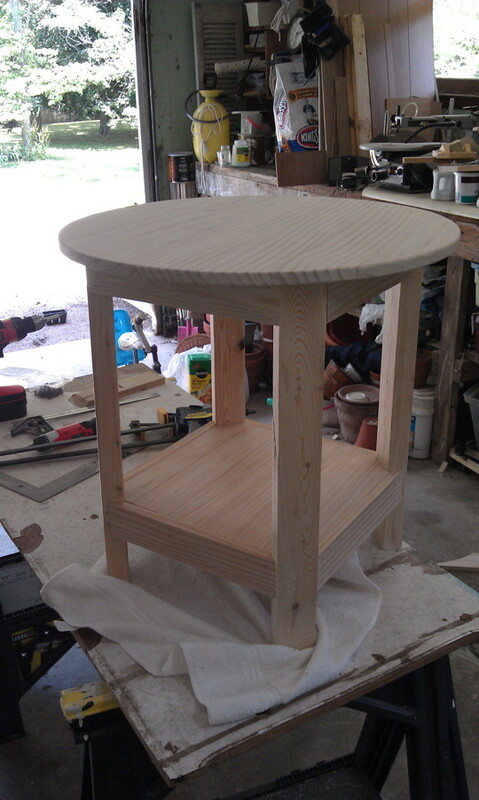 I don’t remember it being a hard project, and the table itself looks pretty good.